Powerful self working tricks like Gemini twins??? Struggling with an effect? Any tips (without giving too much away!) you'd like to share? Re: Powerful self working tricks like Gemini twins??? Mr Grumpy wrote: I do internet to memorise another deck though. I have a mnemonic system, an image for each number from 01 to 99. 9=G, so for 99 I picture a pair of goGGles. I think I based it on something I read in a Derren Brown book. Of course, the first fifty two images can be used for cards, it's just a question of also having an image for each card. Which I don't have at present. Yeah, Harry Lorayne gives an amazing demonstration utilising the mnemonic system in front of a live audience. He also teaches the crowd how to apply part of the technique to everyday objects which are called out randomly. It's very impressive. Bill Malone performs a great effect in his "Malone Meets Marlo" series called Marlo on The Memorized Deck 1 & 2, which uses the Aronson stack. It's a great piece if magic that blows the crowd away. I had Mnemonica, was going to learn a bunch of effects but I was testing that I could remember the cards one day, did some false shuffles and told a spectator I could read his mind and name the top ten cards or something, and he was so excited that I could do this that I ended up going through the whole deck, and the further we got through the deck the more excited he and the other people present became. I thought they'd get bored after a few cards, but the more cards I named, the more the tension built. Would I get the whole deck? I never got round to learning any effects from Mnemonica, I just performed that same effect every time, and eventually I forgot the deck order. JAQK wrote: I suggest three piles from Royal Road, Search and Destroy of Aron Fisher is really nice, Upside Down di Scarne. bu i really suggest you to watch the dvds 1 Deck 14 Tricks 24 Hours of Matt Dowden, he performs some old classics (like poker's player picnic or princess card trick) with a new spin. very interesting! I finally cracked and ordered Search and Destroy. I get the gist of how it works, or at least how it could work, but you can't beat getting all the subtleties. Thanks for the suggesto, JAQK. So, I bought SEARCH AND DESTROY by Aaron Fisher. And boy am I glad that I did! It's extremely easy to learn, provided you can control a cart to the botty of the deck (I use a side steal but any method can work; I think Aaron controls it to the top then overhand-shuffles it to the bott-bott), and you use the tilt method instead of the nowhere pass. I love the structure of performing a super fast sandwich effect, using the method (Aaron shows three methods, if I recall) where the deck leaps into your right hand leaving the left hand holding the 'sandwich' -- then performing the same effect in 'slow motion', with them doing the handy work. This is the sort of self-working I do like. No complicated structure to remember. Severussnape wrote: Hi I'm trying to expand my repertoire with a few self working tricks. I generally really don't like self workers that require a lot of pre preparing the deck or rigging it somehow. I also don't like ones with a lot of counting. My favourite self worker is Gemini twins. After experimenting with it can be a great trick. I've heard some pros use it even. It's visual and seems baffling and is impromptu. With good patter it can really stun audience, with wrong patter it can be worked out though as once that did happen. But it's my favourite self worker. This is a great thread, and some excellent points have been made. 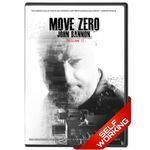 All the tricks in this DVD series are completely self-working, and many of them very baffling and powerful. I can also recommend John Scarne's excellent book, Scarne on Card Tricks, which is filled with self-workers. It's a classic that has been published by Dover, and you can pick it up very cheap. Many of the books on card magic from Karl Fulves are very good as well, especially his Self-working Card Magic series. Last edited by EndersGame on Mar 22nd, '18, 06:53, edited 1 time in total. Severussnape wrote: Second one I like is out of this world which despite the pre ordering of the deck is still great. Any others that people can point me towards? Will be interesting to see if the original poster comments. It has only been 4 yrs since the last comment on the thread. Most unlikely as the OP only made three posts altogether and they were within 2 days of original registration back in October 2013!